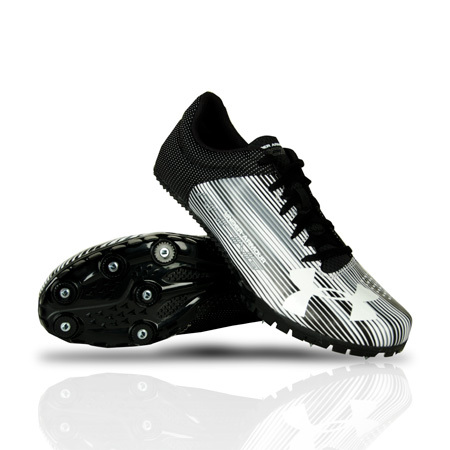 Stay ahead of the game with Under Armour™ Men's Kick Sprint Spike Running Shoes. You'll have a leg up from the start with the help of supportive Pebax® plates in the footbeds to promote propulsion. 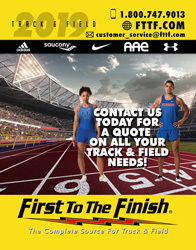 Max out your sprinting performance with 6 track spikes that help you preserve your highest speeds to snag that victory. Push your abilities to the limit uninhibited by unnecessary bulk thanks to lightweight, synthetic uppers.